It’s hard to pinpoint the exact moment I fell in love with Crackdown. The demo had me hooked from the second it was booted up; its 30 minute free-roam was replayed more times than I would admit. Perhaps it was the first time I scaled the Agency building, seeing the cityscape in all its beauty, only to jump right off landing in a small pool of water safely below. Maybe it was collecting every explosive barrel in sight, setting off an explosion Guy Fawkes would be proud of. Or it could have been inviting a friend to the game, only to have placed trip mines around his spawning location. And then throwing a skip at him. 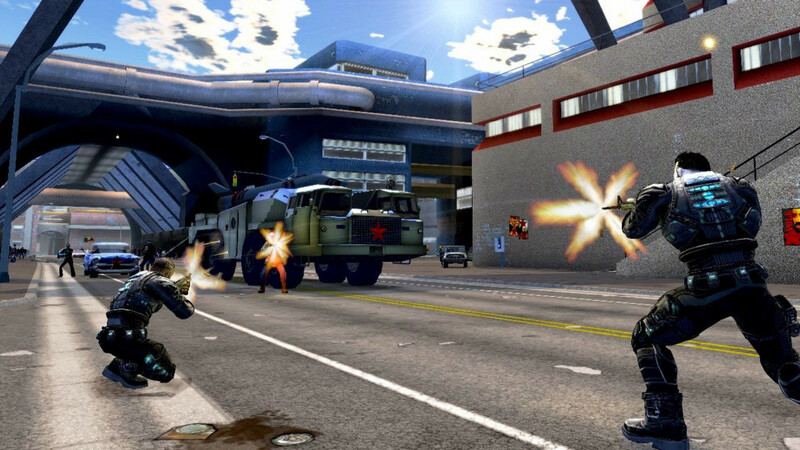 Crackdown was more than just a Grand Theft Auto clone on steroids; the superhuman powers of the Agents made doing nothing in particular an absolute joy. Coupled with a superbly designed open world and brilliant art style, it perfectly captured what games should be: fun. Jumping, climbing, kicking and driving was mindless but captured the ‘sandbox’ genre is all about: the world was your playground. Buildings, walls, cars, enemies and objects were the colour palette, the player’s Agent the painter creating a masterpiece more beautiful than the cel-shaded Pacific City. Despite getting generally positive reviews, most of the buzz before Crackdown’s release was nothing to do with the game itself. Early copies came with a release code to the multiplayer beta of Bungie’s much-anticipated Halo 3. What was an added bonus became the primary reason of purchase for many gamers, turning Crackdown into an afterthought. 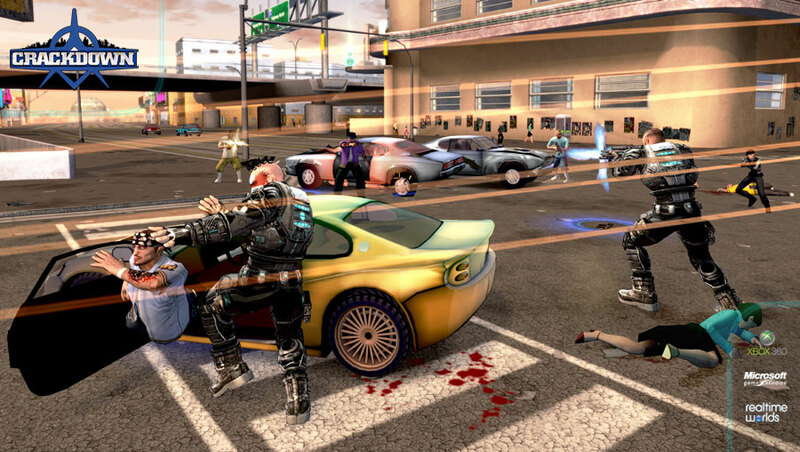 It is a shame because those that failed to give Crackdown the chance it deserved missed out on one of the greatest games of this generation. Its lack of direction split opinions; Crackdown had only the very threadbare of a story line holding it together. Though in a generation where a lot of single player campaigns are nothing more than corridors of scripted set-pieces, total freedom of how to tackle the game was a welcome change. Want to blast through each boss as fast as possible? That’s fine. What if you wanted to largely ignore them, spending the majority of your time kicking enemies off multi-story buildings? Yup, you can do that too. How about passing enemies completely, choosing instead to jump from building to building like a parkouring Hulk? Yeah, go on then. If you must. Crackdown was the ultimate escape. Yes, it had its difficult moments (Zuang Lun Wang I’m looking at you) but it was possible to relax and have fun. Competitive online gaming brought to the fore by hugely successful shooters like Call of Duty may be brilliantly addictive but can also be painfully infuriating. I want to relax whilst playing games, not be even more stressed than I was before I started and Crackdown is the perfect soothing remedy. In most games collectible items are nothing more than a cheap way to add longevity; Crackdown’s hidden orbs were a calming joy to collect. The game’s levelling system was also great; the Agent’s appearance and abilities would get bigger and better as the player shot, exploded, drove and climbed their way through the game. The Agency vehicles also upgraded, leading to one of the best cars ever to appear in a sandbox game (the Agency SUV, which could jump to increase the distances of stunts). As fun as it was, single player Crackdown did have its limitations. The enemy gangs could only before re-spawned a number of times before things became a little repetitive. Invite a friend into the game for a co-op session though and Crackdown shows its true colours, turning one of the most enjoyable gaming experiences of this generations into the most safe for work fun you can have over the internet. The first great online co-op sandbox experience, Crackdown was brilliant with a friend. The fun came from not defeating the bosses but coming up with your own games to whittle away hours on: car rugby, rocket launcher tag, parkour races and gladiator-style death matches atop small but high roofs were among the innovative ways to play the game. I once had a day-long 8-hour session on Crackdown with a friend, doing nothing more than throwing trip mines at one another, chasing up buildings before trying to kick each other off. I didn’t collect XP, no rank was raised. I didn’t earn any achievements or in-game unlockables. But I loved every second of it. 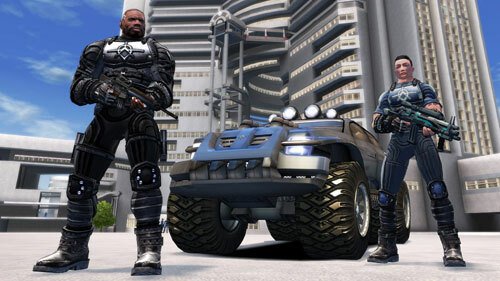 Crackdown also had possible the greatest free-DLC ever to grace the virtual waves of the Xbox Marketplace. Keys to the City added a new ‘god mode’, adding cheats to somehow make Crackdown ever more fun, from invincibility to being able to spawn ramp trucks and explosive barrels (making those firework displays easier to pull off). 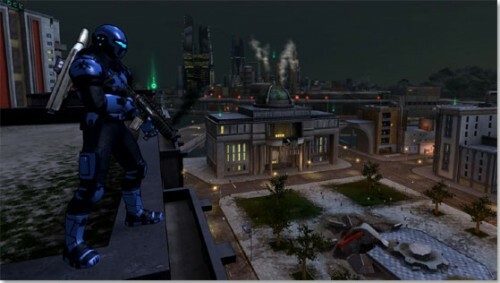 Even the bugs in Crackdown were great, the game had its very own GTA swing-set-of-doom. The corner of ramp trucks would send players flying across the map, a ‘feature’ that was put to great use in co-op sessions.